If you’re looking for a garage door company that will provide you with top-notch workmanship and outstanding customer service, turn to 31-W Insulation. We have been performing home improvement installations of all kinds for homeowners in Franklin, Tennessee, and beyond since 1972, making us one of the most experienced companies in the industry. 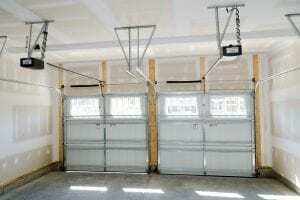 And, because we never utilize subcontractors, you can be certain that your garage door will be installed by our own expert employees, who proudly uphold our high standards and will strive to exceed all of your expectations. Your new door is sure to look beautiful on your home, as well. You’ll be able to choose from a plethora of eye-catching designs and attractive colors, and you can further customize your door with decorative hardware and window options to achieve the look that best suits your aesthetic taste. For more information about what makes us unlike any other garage door company operating in Franklin, TN, contact 31-W Insulation today.